I'm just going to say it again. I love that for the first time in a long time we are seeing more films that explore the variety of complexities and narratives that lie within the black experience. And thanks to recent films from Jeff Nichols (Loving) and Amma Asante (Belle). who have reminded us that the simple act of interracial marriage was once a political and legal offense, and the increased representation of interracial couples now on the small screen, a previously taboo topic is slowly becoming part of mainstream conversation. Which brings me to Asante's upcoming romantic drama, A UNITED KINGDOM, which is slated to hit theaters in February (just in time for Valentine's Day). It follows the controversial 1940s interracial love story between King Seretse Khama of Botswana (played by David Oyelowo) and Ruth Williams (Rosamund Pike). I'm ready to be transfixed. 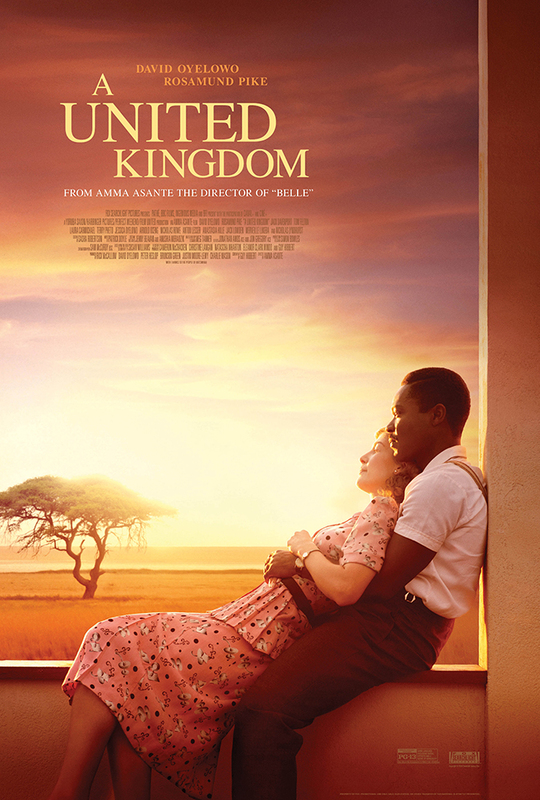 A UNITED KINGDOM opens in theaters February 17.